In television there is a term called ‘Jumping The Shark’. This is used to refer to that moment where a TV show declines in quality and is usually signalled by a particular scene or moment within that series. It’s actually derived from the moment in Happy Days where The Fonz jumped over a shark whilst on water-skis. Imagine in music if we had something similar, what would it be called and what could those events be? Could it be termed ‘hiring Timbaland’ in reference to Chris Cornell’s hiring of that producer for his Scream album. It could be alternatively termed ‘second album syndrome’, thinking particularly of Alanis Morissette here. 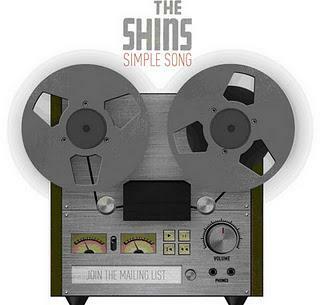 However, an alternate version could be ‘sacking the entire band’ and this could be levelled at The Shins. James Mercer has a completely different line up behind him now than on the first two successful and critically appreciated albums Oh, Inverted World and Chutes Too Narrow. Apparently liking those acts that release albums under a band moniker but are in fact one person, he decided to do this after a five year break and finally he rekindled his interest with Port of Morrow. This fifth album sees that rotating line-up change again so that basically they are basically cardboard cut-outs behind Mercer. The positive news is that this is an attempt to rekindle the sound of the first two albums. However, the anomaly here was that Port of Morrow wasn’t bad. In fact large parts of it were quite good. So retreating back makes some sense, but not as much as if the decline in quality had coincided with that Jumping The Shark moment. What results in Heartworms is a patchy affair that is the best and worst of The Shins all at once. It’s impossible not to wince at the twee intro to Rubber Ballz that sounds like a slowed down Pearl and Dean advert. It’s not pretty and comes across as lightweight and annoying. Painting a Hole seems to use its lalalalala intro to just plain stand out and make a plodding number a bit different. Cherry Hearts is almost like Animal Collective slowed down a bit (a lot) and then they forgot about anything decent in their repertoire. It’s dire. Dead Alive is so soporific you are almost too dozed out to hit the skip button. The central issue is that what worked as being different an innovative on those early albums just comes across as annoying and frustrating here. The most frustrating thing though is that if you can sift through the muck a few diamonds appear. 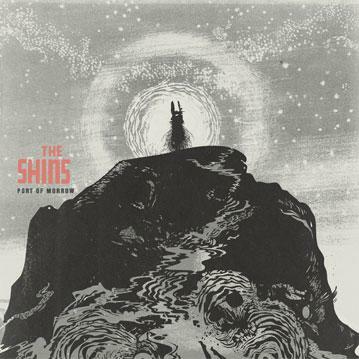 Name for You is a strong opener and it recreates some of The Shins best moments in a good way. Closing track The Fear is a long lingering number that sounds like a call to come home. It’s got the atmospherics right. Mildenhall is a simple number that dials back the noise and distractions enough that it’s just a ballad with a guitar and little else at the beginning but it builds the layers slowly. Lyrically it stands up better than almost everything else here too, especially in the bridge where he declares ‘goddamn you miss the USA.’ It’s evocative in the way it tells the story of a 15 year old kid being relocated to a US base in Suffolk, England. If only everything else here stood up as well as this. 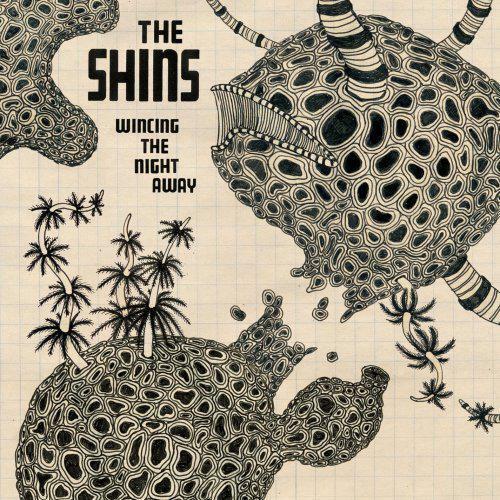 The Shins may have Jumped The Shark but somewhere beneath the new version there is a faint pulse and with that is the hope that they may yet return to previous form. Not by repeating their previous works, but by evolving. This feels like it is a misstep. I watched that particular Happy Days episode when it first aired, sad to say. Yet, even at 14, I thought it a tad over the top. I wholeheartedly agree with your review here. Sacking the rest of the band was the worst thing for The Shins, James Mercer is now riding on his melodic abilities - but it just doesn't make a great album. Those early albums are some of my favourite of all time but this newer stuff just isn't as good.